Fast-acting protection device for high-power applications combines thermal fuse element and resistor on a single substrate. 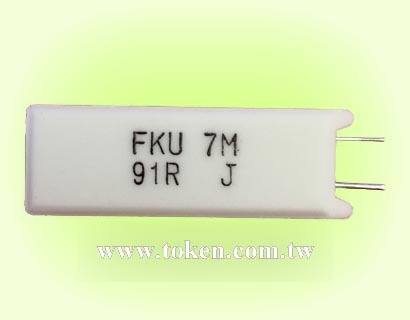 Token offers FKU (Wirewound Resistor + Thermal Cut-offs) and FRU (Metal Oxide Film Resistor + Thermal Cut-offs) two Series, both are a new concept in thermal fuse technology and are designed to protect against over-heating in electrical products. 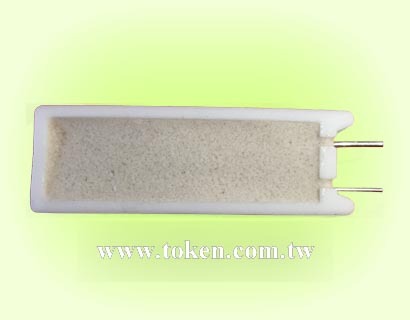 The two active components, a thermal cutoff is a fusible alloy and a resistor is a voltage divider, both are surrounded by a ceramic cement with special resin. Under normal operating temperatures the fusible alloy joins the two lead wires within the body of the cutoff and the power resistor acts as a normal function resistor. When the preset temperature of the cutoff is reached, the fusible alloy melts and with the aid of the special resin, complete cutoff is ensured. 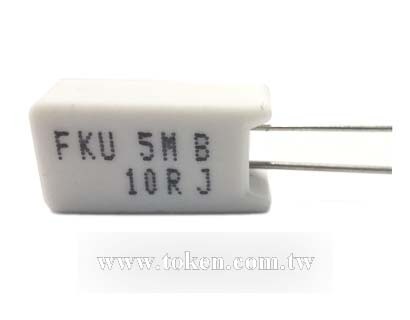 By combining a thermal fuse element and resistor on a single substrate, Token has created a fast-acting ultimate protection device for high power applications up to 10A/250V. Resistance range of FKU Wirewound Type Thermal Cut-offs is 1Ω~100Ω and FRU Metal Oxide Film Type Thermal Cut-offs is 110Ω~10KΩ. Both standard precision tolerance is J(±5%). Our custom solutions are designed to address your need for technical and economic success in a timely manner. Contact us with your specific needs. 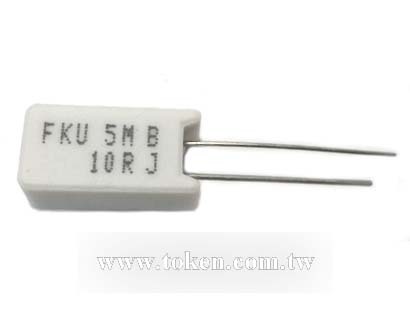 Download complete specification - Thermal Cut-Offs Resistors (FKU/FRU). 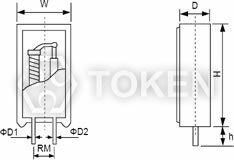 Miniature size, Radial leaded form, Accurate fusing temperature, Current Rating: Up to 10Amp. 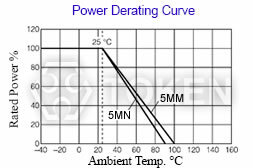 Various temperature settings, Products with Pb-free Terminations and RoHS compliant. 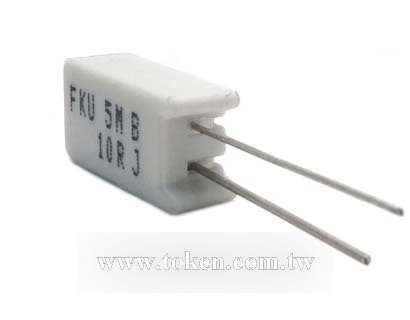 Economical by combining both function of a thermal fuse and a pulse resistor. Motors - fans, copiers, washing machines, air conditioners, compressors. Electronics - TVs, tape recorders, stereos, video recorders, fluorescent lamps, transformers, surge suppressors, computers, telecommunication equipment. Appliances - electric blankets, space heaters, stoves, irons, hair dryers, cookers, toaster ovens, clothes dryers, toasters, mixers, microwave ovens, crock pots.